This restaurant is truly one of my favorites in the San Marcos area. 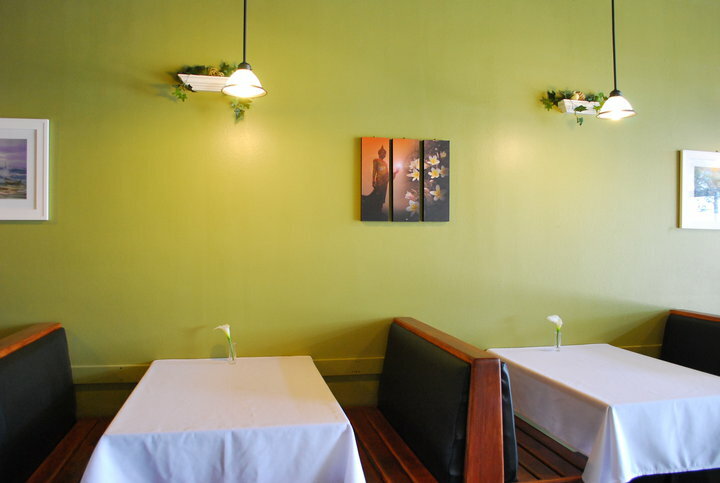 If authentic Thai Cuisine is what you are looking for, you must try Prik Nam Pla. This gem of a restaurant opened right around the middle of 2010. Coincidentally, that summer I had traveled to Thailand for the first time. Upon my return, I found I had a taste for traditional Thai food that could not be satisfied. I was sure to sample Prik Nam Pla the first week they were open and have been hooked ever since. This restaurant has become a San Marcos favorite, as well as a weekly stop for me personally. Prik Nam Pla is truly 100% authentic Thai down to the garnish. After being in Thailand for a while, I tasted no difference between the food I ate there and the food being served at Prik Nam Pla. The pineapple fried rice is completely spot on. I eat this dish at least once a week since they opened. Do I have to say I was and am still impressed with this place? The curries are all as fresh and complex as they should be and you can get them made at any spice-level you want. I must also add that their Thai Omelette passed my father’s “vigorous” taste test. 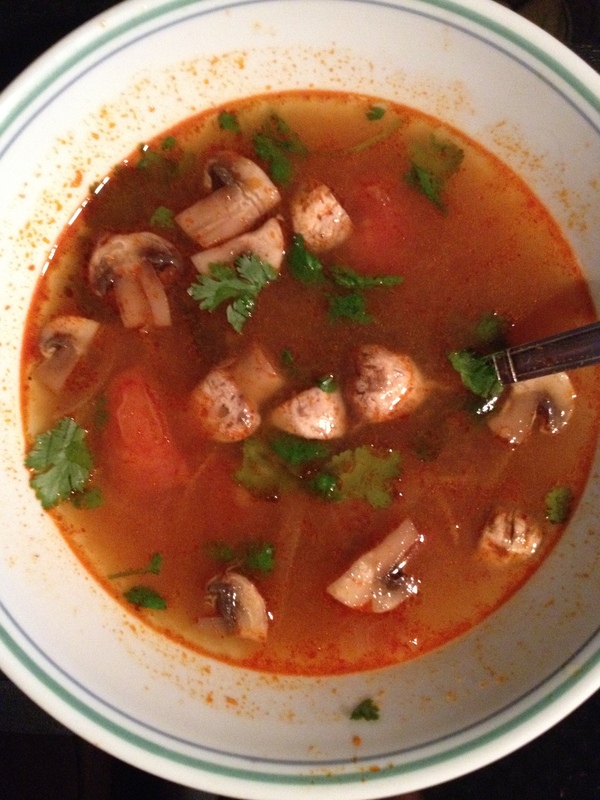 The soups are delicious and made fresh with obviously wholesome ingredients. I could go on and on. Once again, if Thai food is on your mind, get over to Prik Nam Pla. 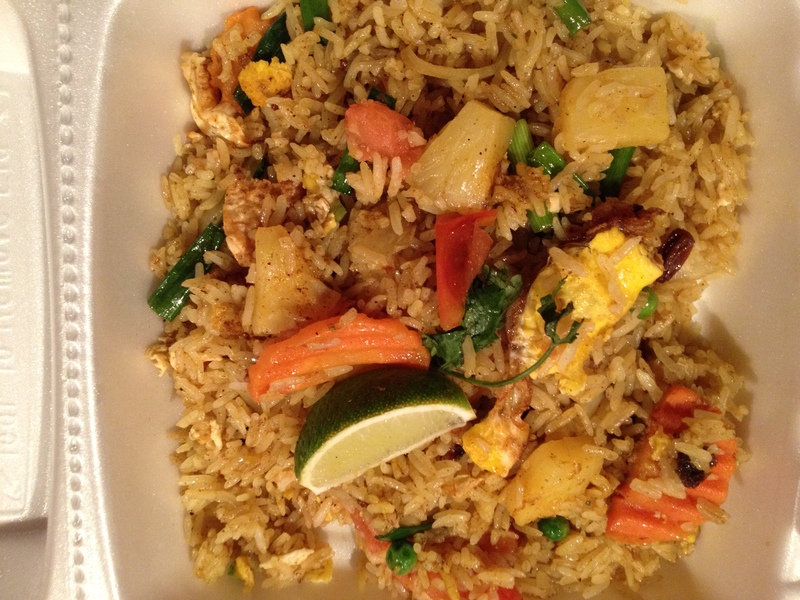 Prik Nam Pla is located at 1917 Dutton Dr. right behind Frost Bank. 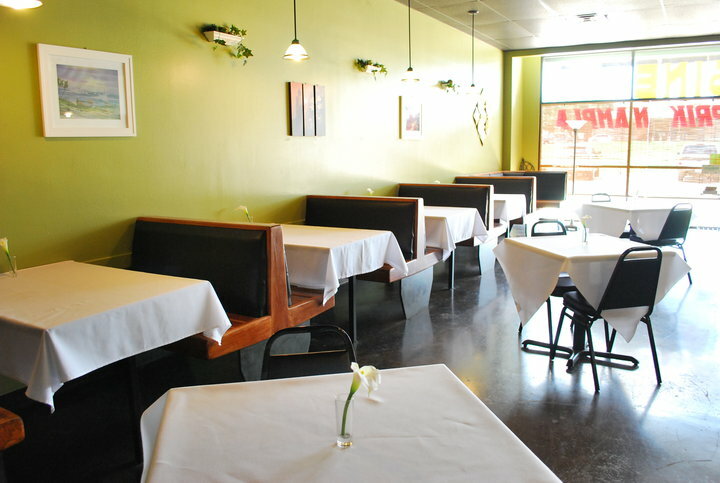 The restaurant is well equipped for large and small parties and never has any wait times. Their business hours are Monday-Friday lunch 11:00 am-3:00 pm Dinner 5:00-9:00 pm and Saturday 12:00 pm-9:00 pm. This restaurant is great for lunch or dinner. Further, If you are someone who is looking for fast, convenient take-out, Prik Nam Pla can help you out. They usually can get your order out in around 10 minutes. I have come to rely on their takeout when I am too tired or busy to cook but still want a real meal. They know me by name at this point. I could eat this food for every meal of the day..
Further, If you are someone who is looking for fast, convenient take-out, Prik Nam Pla can help you out. They usually can get your order out in around 10 minutes. I have come to rely on their takeout when I am too tired or busy to cook but still want a real meal. They know me by name at this point. Additionally, Their prices are really reasonable. This is increasingly true considering the great and authentic food that they consistently produce. 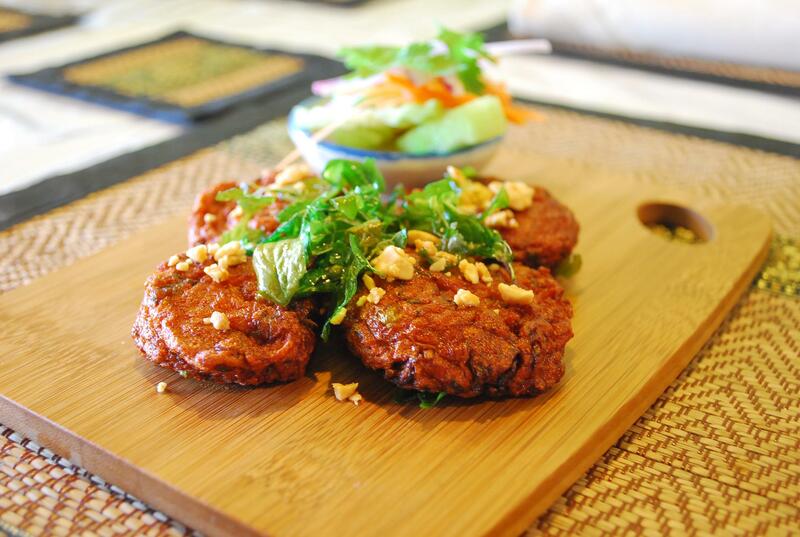 Prik Nam Pla also can cater to vegans and vegetarians, quite successfully substituting and removing ingredients without sacrificing flavor. The service is fantastic and the owners and managers are all very nice and accommodating. This restaurant puts a marked amount of care and thought into their service and should be commended for it. If you are in the San Marcos Area and want real, delicious Thai food at great prices with great service, I highly and enthusiastically recommend you try Prik Nam Pla. I am sure You will absolutely love it. Hi! I came across your blog after searching for this restaurant. I hadn’t realized there was another Thai restaurant besides Thai Thai Cafe. And then forgot about it again when making dinner plans with some friends. Anyway, what I meant to say is that I’m glad that I found you. Because my husband and I are always looking for places to eat around here besides the same thing all the time. I look forward to reading your other posts! That is why I write these.. Many of these restaurants are not very well known for a variety of reasons.. I am writing my next review currently on the Root Cellar Cafe and it should be posted soon.. There are several completed reviews that are all worth trying.. I only write reviews for the places that really impress me in some way.. I also am always looking for suggestions for reviews if you have any. I only have a few reviews written so far but if you are looking for something specific and cannot find it, I know quite a few good restaurants around the San Marcos area. I am relatively new to thai food and went there with a work colleague today. 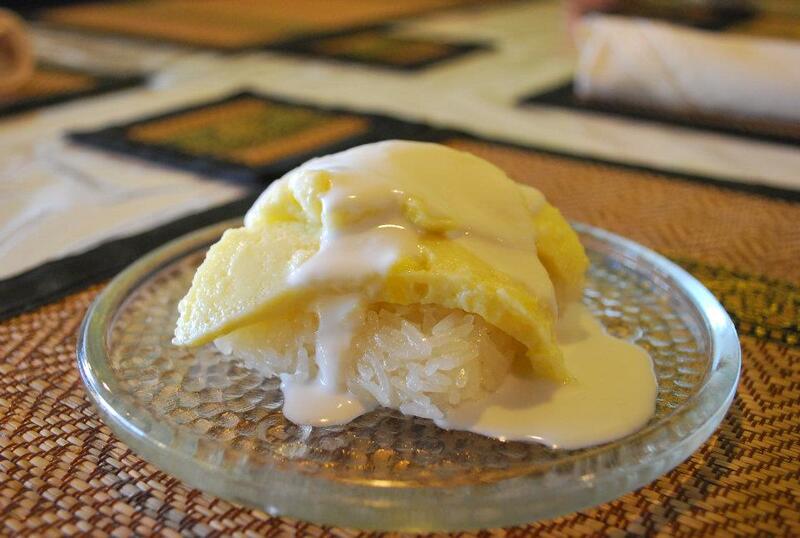 I had the green curry and the coconut ice cream. It was delicious! However I am curious what is the middle picture of before the pineapple fried rice. Those look delicious. Thanks! It’s some amazing food, isn’t it? Anyways, you are looking at the Thai Fish Cakes which are fish infused with Thai spices and served with cucumber and Thai sweet and sour sauce which is pineapple based. The fish cakes areinsanely delicious.. This place is absolutely amazing. Their pad thai is to die for. I’ve been all over SM and some of these restaurants I’ve never noticed. It would really help if you could list addresses. hello, paul! as far as I know, I do list the addresses.. please let me know of any reviews that are missing them..